Security is every home owner’s priority. The less you worry about the security of the house, the higher the likelihood that you’ll find peace of mind. Your home holds a lot of things and people that are irreplaceable – your family, belongings, and sentimental treasures. No home owner would want to risk endangering their loved ones to various threats caused by intruders. If you want to keep your home away from the dangers of intrusion, you need to have a good security system. 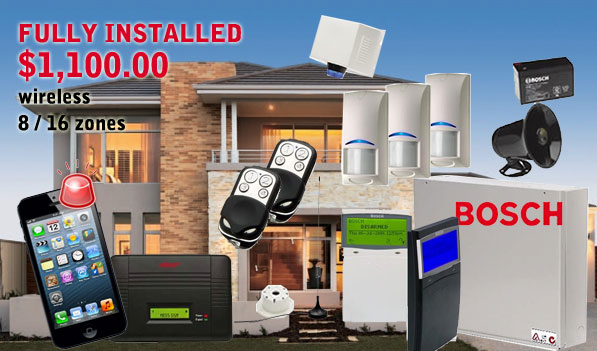 Complete Alarms are alarm system installers that cater to all household security needs all over the entire Sydney. It is always best to go local for your home service providers since it would make communication easier when you need their help. Getting to your house would also take less time whenever the need arises. You can have several options for your burglar alarm systems. Since the company understands that different households have different needs, Complete Alarms makes a comprehensive analysis of your home and gives you suggestions on which type of security system support the functions you require. It is a fairly easy process to get the system going once you avail of their services. Aside from the usual burglar alarm systems, there are also other types like duress facilities, medical emergency alerts and smoke detection alarms. All these additional features can be incorporated into your existing Complete Alarms alarm system. You don’t need to worry about the money. There are several packages you can choose from in which you can choose to customize or completely pay in full. It is your convenience that is important in installing alarm systems. The system designs for your home will depend on how big your target area and how many floors are in the house. If you only want to put the system on several rooms, you can have the option to do so. It is very easy to ask for a customization and you even get professional advice on what’s best when it comes to the logistics. The quality of the cameras, alarms, and transmitters are all top class and come with a 5-year warranty for all components except for CCTV cameras which only have a 2 year warranty. Nevertheless, this is still a good deal. With this, you can set-up a solid defense on your home without spending a fortune.